Custom Air Products & Services, Inc. (CAPS), a leading commercial and industrial heating, ventilation, and air conditioning (HVAC) company, is proud to announce its Mechanical Field Services Division breaking an all-time record for the month of September. We are Mechanical Field Services: we are service driven designed for fast response times and are able to perform complete equipment retrofits with little or no production/service interruptions. Custom Air Products & Services, Inc. (CAPS), a leading commercial and industrial heating, ventilation and air conditioning (HVAC) company based in Houston, Texas (US) is proud to announce the Mechanical Field Service’s division record breaking month this past September. Mechanical Field Services (MFS) is one of three divisions at CAPS: Fabrication & Manufacturing, MFS, and HVAC Services. MFS is responsible for the installation of HVAC equipment with associated duct work and piping. The MFS Division works hand-in-hand with customers and general contractors to complete the work as specified and in the time frame that is required. CAPS’ skilled personnel work in all environments, including industrial and commercial facilities. Its highly qualified team of experts meets custom retrofit requirements with quick turnaround and excellent results. CAPS’ range of ductwork construction includes stainless steel, galvanized steel and other specialty materials as required. This division also handles equipment change outs, chilled water piping and new equipment installation. What differentiates CAPS’ as an HVAC company is the ability to not only design and manufacture a custom air conditioning project, but go even farther by providing the complete commissioning of the custom unit. 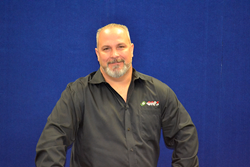 Brad Chaykoski, MFS Manager, says “We do not run our division like your typical installation/construction group. As our name says, we are Mechanical Field Services: we are service driven designed for fast response times and are able to perform complete equipment retrofits with little or no production/service interruptions. We also have some of the best industrial and commercial sheet metal mechanics in the industry.” MFS’ mechanics have stayed with CAPS for many years: 70% of their team members have tenure with the company for over 8 years. The month of September was a particularly successful month, in large part to their dedicated outside sales team. Several large projects that required aggressive schedules were completed thanks to the willingness of the MFS team members, all while not falling behind on their regularly scheduled projects.